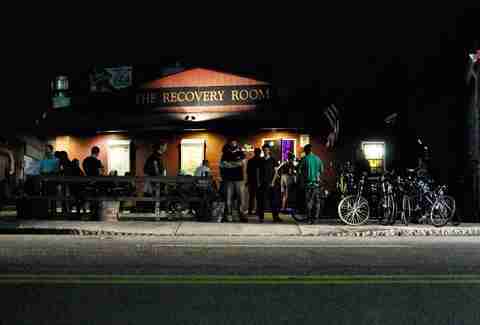 Rec Room is the quintessential dive bar: it’s owned by a guy who goes by “Boston,” it’s always dark, the music is loud, and there’s plenty of PBR flowing (they’re the #2 purveyor of Pabst Blue Ribbon in the country, after all). They host all kinds of events, like bar trivia, live music, corn hole tournaments, and bocce leagues, and Sunday brunch features NFL Sunday Ticket and plenty of Tater Tachos to go around. You can spot AC’s on King St thanks to the line of college students that weaves its way through the cloud of smokers lighting up out front on a Saturday night. That line continues inside for drinks and at the bathroom, so be prepared to wait. The trade-off is that the kitchen stays open 'til 1:30am, so you can order a Death Burger (it packs the heat with banana and jalapeño peppers, plus an insanely fiery sauce) and loaded fries whenever the mood strikes. 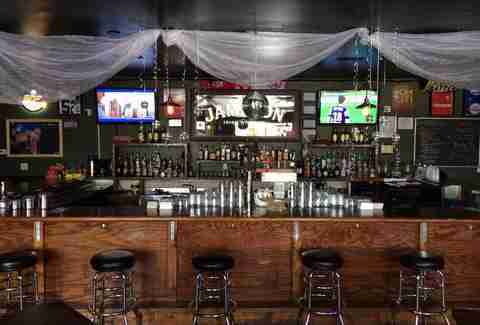 If you like the atmosphere of a dive bar, but you’re more of a cocktail person, Local 616 is your spot. The Downtown bar serves up tasty craft ‘tails (like a poblano pineapple-infused margarita) that’ll make you feel like you’re at a fancy club (but really you’re in a dark bar watching soccer on the big screen). Royal American settled into NoMo before it was cool, and they’ve easily stuck around thanks to the laid-back vibe of their dog-friendly patio, cheap beer ($5 pitchers of High Life anyone? 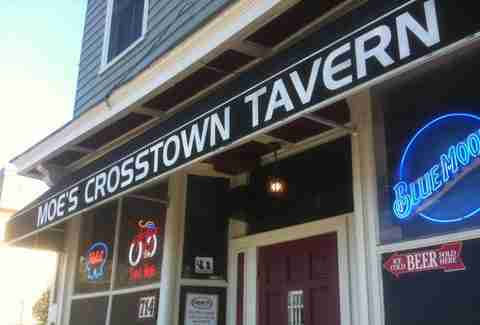 ), and the fact that they’re one of the few bars Downtown with a parking lot. In addition to a menu that includes fried bologna sandwiches, they’ve also got a stage inside that’s constantly showcasing with live, local bands who sound even better after you’ve had a shot (or two) of the house-made cinnamon whiskey. Upper Deck Tavern is the kind of not-so-secret secret dive bar (you have to access it from an unmarked alley on King St) that’s attracted something of a cult following among hipsters, college students, and young professionals alike. Despite the semi-speakeasy entrance, it completely lacks pretension: show up in a tuxedo or gym shorts and you’ll still feel right at home. Another hidden treasure on King St, Burns Alley is rarely crowded and always a good time. They don’t have food, but they do serve up a mean GrandMa shot (that’s Grand Marnier for the uninitiated) and lots of local beers on tap. Want to feel cool? 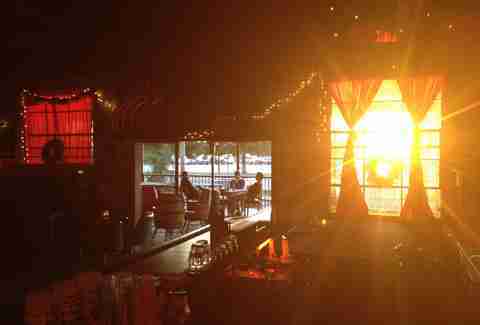 Take the “secret entrance” through La Hacienda’s bathroom (a space they share with Burns). 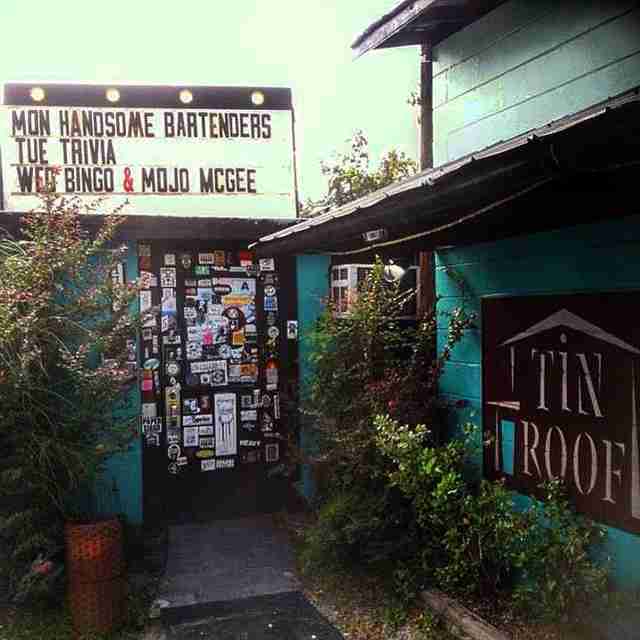 Hands down the best bar in West Ashley, you’ll recognize Tin Roof from Shovels & Rope’s ‘Birmingham’ music video (go watch it now if you haven’t seen it. We’ll wait). Stop by and snack on the schnitzel plate as you listen to some live music played the way it was meant to be heard -- loud enough to create waves in your pint glass. 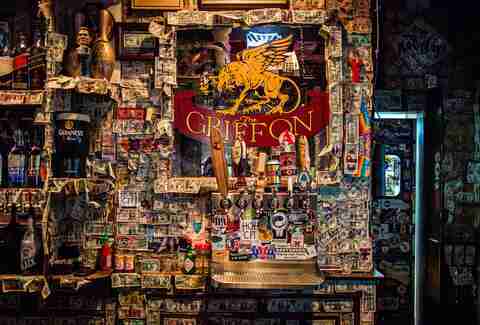 Most recently featured in an episode of Parts Unknown with Anthony Bourdain, The Griffon is the kind of no-frills joint that’s been a staple in Charleston for over 20 years. 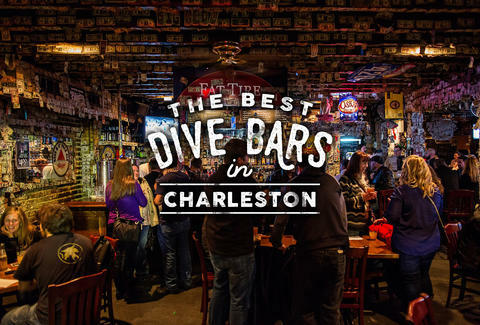 The walls (and ceiling) are papered in autographed dollar bills, the beer is cold, and the food -- fried pickles, mozz sticks -- is exactly what you’re looking for on a dive bar kind of night. 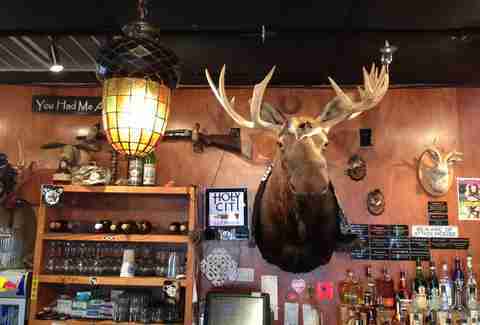 Tattooed Moose is the kind of dive bar you should visit on an empty stomach because you’ll want to sample the duck fat fries, chocolate & bacon pie, and their famous, triple decker duck confit club. Bring a Sharpie, because you’ll definitely want to leave your mark on the walls (it’s OK, they encourage this kind of delinquent behavior). Gene’s gets high marks for having pretty much every bar game known to man, and then a few more. 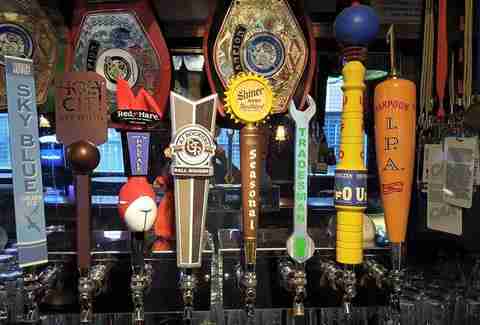 Darts, pool, shuffleboard, foosball, Connect 4, Jenga... bring your competitive spirit and a thirst for cold beer; their bar boasts over 180 different beers, ranging from Bell’s to Sam Smith. Don’t be deterred by Moe’s unassuming facade: inside, it’s warm and welcoming and a great place to spend a few hours. Go on Tuesdays for their half-priced burger night or on Sunday for a surprisingly delicious brunch. Frequented mostly by the college crowd, Cutty’s is an under-the-radar hipster oasis that stands out from the rest of Charleston's bar scene with $2 beer specials, stay for the vending machine that dispenses art and condoms. What more could you need, really? Sydney Gallimore is a food writer from Charleston who’s had more than her fair share of PBR. Follow her at sydney_inc on Twitter.